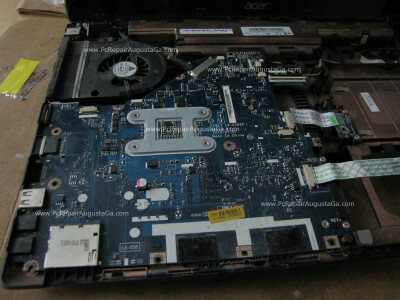 Acer Aspire 5700 Laptop Series Overheat - Solved! 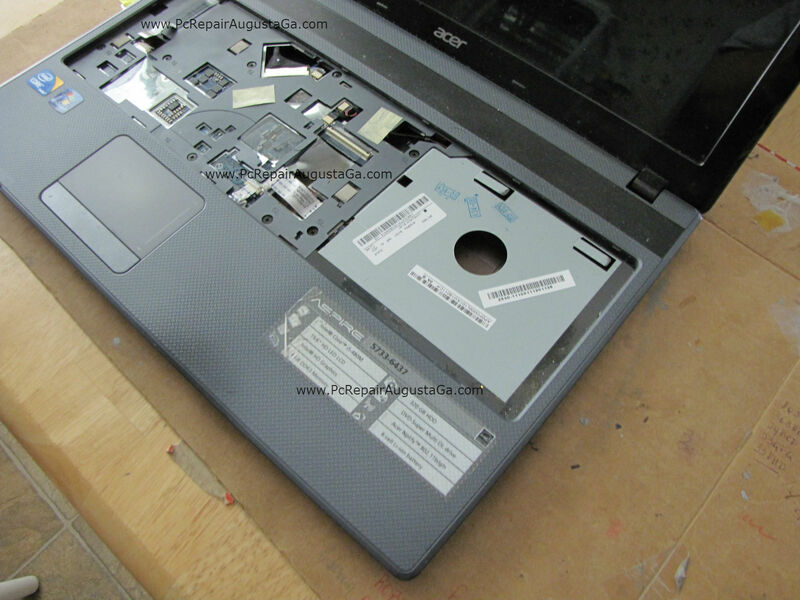 Recently had the Acer Aspire 5733 series laptop in for overheating problems. The laptop was randomly shutting down completely and would not power back on for a few minutes. What you’ll see further down the page, I find time after time again quite frequently. Internal heatsink exhaust blocked completely by dust, lint, food particles, hair etc. This Acer Aspire 5733-6437 has a Intel i5 processor which runs a bit hot to begin with. Combined that with a block hot air exhaust can result in complete laptop failure. Big clump of dust, lint completely blocking the exhaust. This area to the right is where the fan exhaust meets the exhaust heatsink. 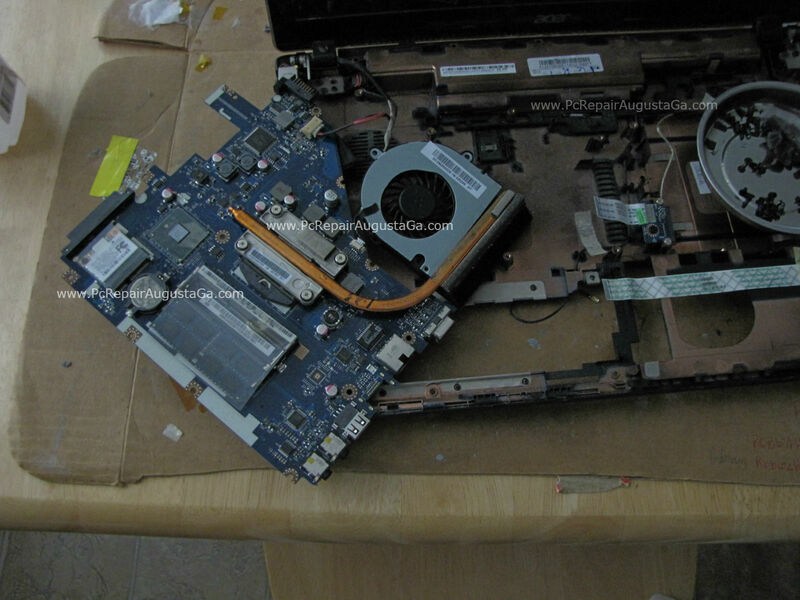 Fan blow cool intake air through the hot heatsink and out of laptop. Fan cannot properly cool the laptop, heat cannot exhaust out of laptop, heat builds up & increases in temperature inside of laptop, laptop automatically shuts down on overheat temperature. Before cleaning laptop idled at 42-48 celsius. 1-2 seconds after starting a full load stress test temperature shot to 85C++ in just 2 seconds, stopped the stress test and dis-assembled the laptop. After cleaning idle tmeperature is now 38-42 celsius, load temperature of 66-71 celsius. Temperature slowly climbed to max of 71C. Before cleaning, laptop shot to 85C ++ in 2 seconds. Also cleaned stock thermal paste off cpu and heatsink and applied Arctic Cooling MX2 thermal paste. Quality thermal paste with an 8 year durability which makes it a perfect choice for laptops! Overtime this will happen with every laptop. 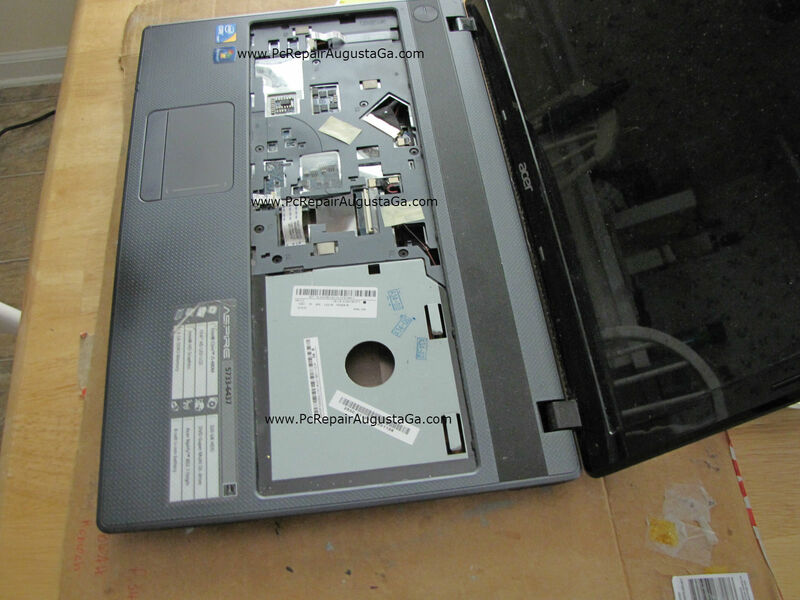 Depends on how and where you use your laptop, for this type blockage & heat problem can happen quicker than most. 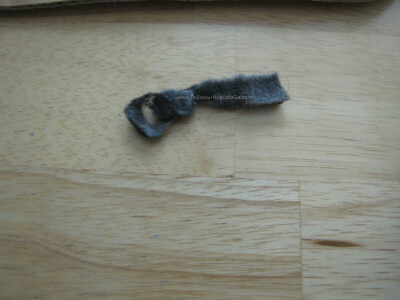 The above was mainly a huge “lint ball” which I can guess it was used on a bed or carpet area. Using laptop on a bed is a big no-no. 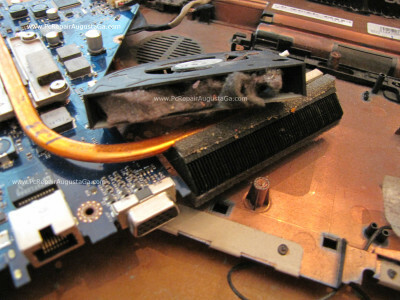 Dust, lint has a direct line into the laptops fan & heatsink. 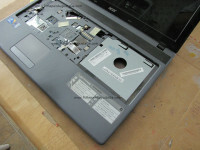 – Excessive long term heat will shorten the life of the laptops hard drive. Make sure you maintain regular backups of your important data at all times! I use Carbonite Automatic Online Backup myself, and highly recommended!